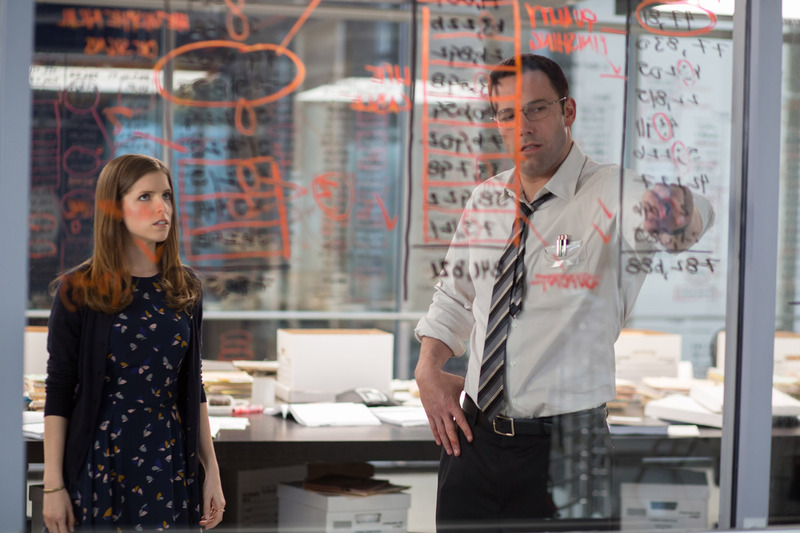 Warner Bros. Pictures presents Oscar winner Ben Affleck (“Argo,” “Batman v Superman: Dawn of Justice”) in the title role of “The Accountant,” from director Gavin O’Connor (“Warrior”). “The Accountant” also stars Oscar nominee Anna Kendrick (“Up in the Air,” “Pitch Perfect”), Oscar winner J.K. Simmons (“Whiplash,” the “Spider-Man” films), Jon Bernthal (“Fury,” “The Wolf of Wall Street”), Jean Smart (TV’s “Fargo,” “24”), and Cynthia Addai-Robinson (“Star Trek: Into Darkness”), with Jeffrey Tambor (TV’s “Transparent,” “The Hangover” films) and two-time Oscar nominee John Lithgow (“Interstellar”). The behind-the-scenes creative team includes two-time Oscar-nominated director of photography Seamus McGarvey (“Anna Karenina,” “Atonement,” upcoming “Pan”), production designer Keith Cunningham, Oscar-nominated editor Richard Pearson (“United 93”), costume designer Nancy Steiner, and Oscar-nominated composer Mark Isham (“Warrior,” “A River Runs Through It”).